Feel like voting on quirky questions with the Wii community? 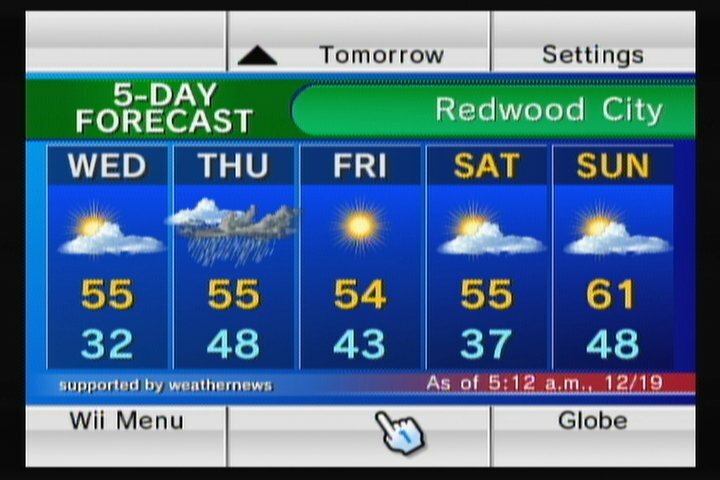 Need to check the weather on your Wii? News? Other Miis? Drop what you’re doing and do it now. As of June 28th, these Wii online features will be officially retired according to Joystiq. Other soon-to-be-offline features include Mii Exchanges, Message Boards, and data exchange. Also being dropped? Data exchange, which allowed certain games to transfer data between friends such as custom designs. Some of these ideas have been integrated into the Wii U, but most will forever be barren icons on the Wii’s main menu. While most of these features were likely drawing a small number of users, their deletion shows it is truly end times for the Wii.